The credible international A’ Design Award & Competition is held every spring and represents an important world’s contest in the sphere of interior and industrial design, arts and architecture. Its main goal is to reveal and support the most outstanding and well-thought-out projects and concepts of the globe, and to bring together the best ideas, solutions and perspective creators’ names. The prizes are awarded in dozens of categories, ranging from industrial design to arts and literature projects; and nominees are evaluated by experts from all over the world. 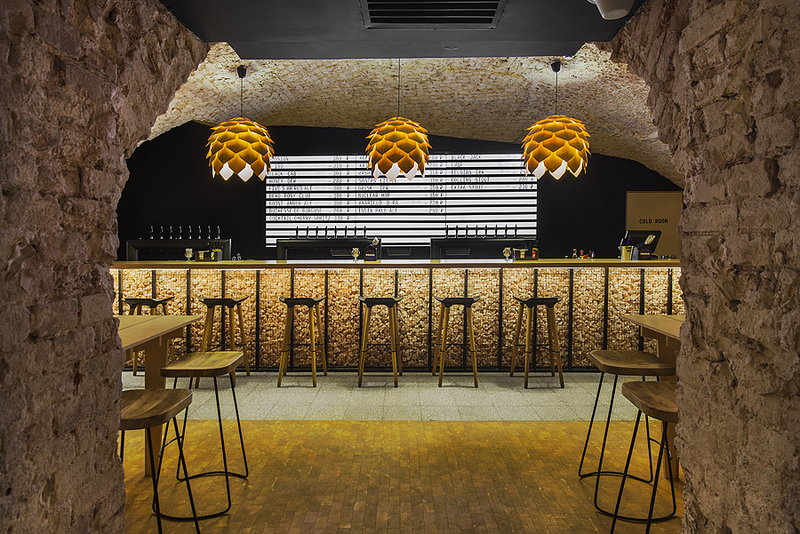 This year an architecture bureau from Russia named Archpoint was awarded a silver prize for their interior design project of a new craft beer bar that opened in Moscow and was dubbed “Parka”. 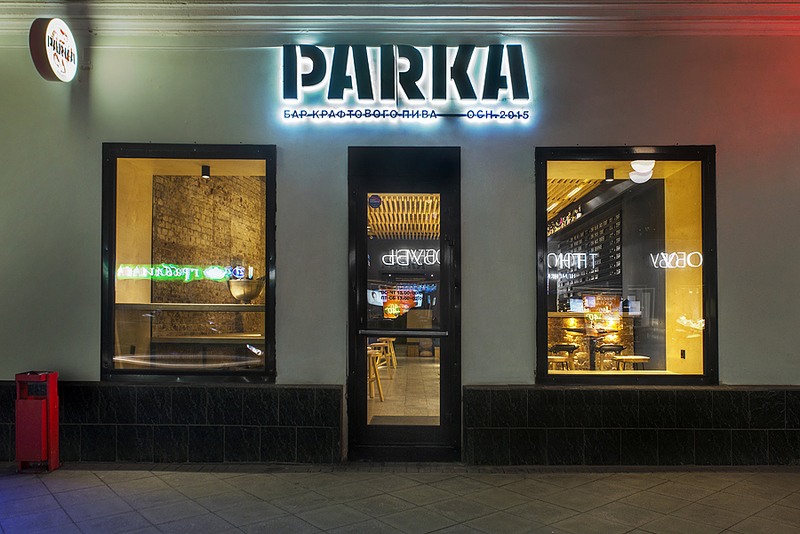 As soon as you step in, you find yourself in a kind of a traditional sauna, which actually gave the place its name: “par” stands for “steam” in Russian. 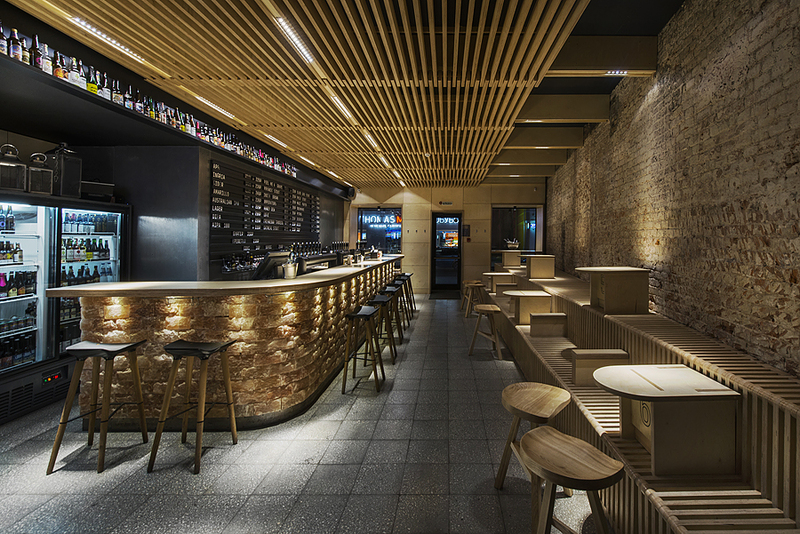 Actually, the chief designer of the Archpoint bureau owns this bar and designed the place for himself and his friends in the first turn. Being an experienced architect, he had plenty of creative ideas in stock. 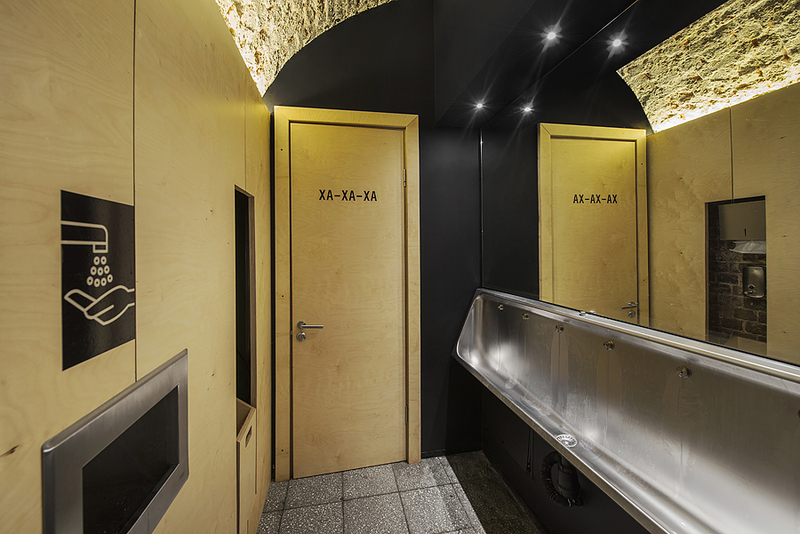 As a platform for his new project he chose a basement and first floor of an old house in downtown Moscow, which includes three halls. In terms of style the “Parka” represents a peculiar organic mixture of loft style and minimalistic Scandinavian motifs. That is why predominant finishing materials here are typical of these two styles: light ash wood, birch plywood, masonry and concrete. 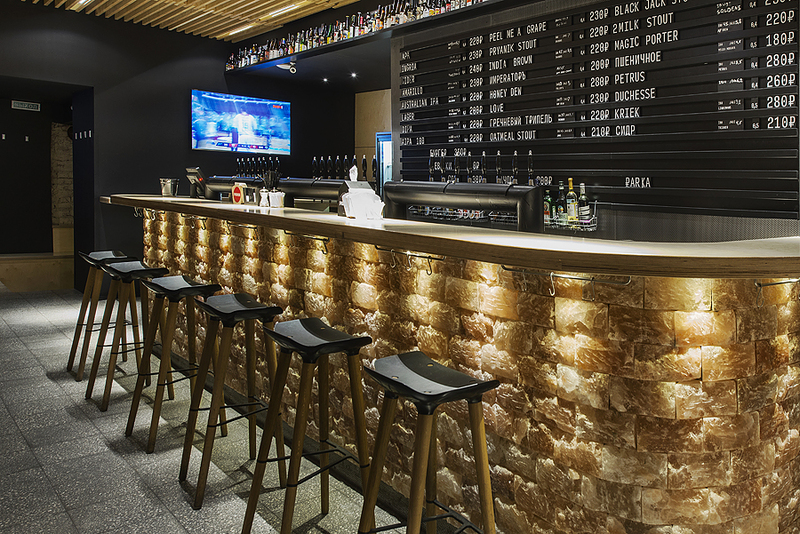 But the most interesting and eye-catchy material used in the project is Himalayan salt bricks; it was used as a base for a bar and for several dining tables. 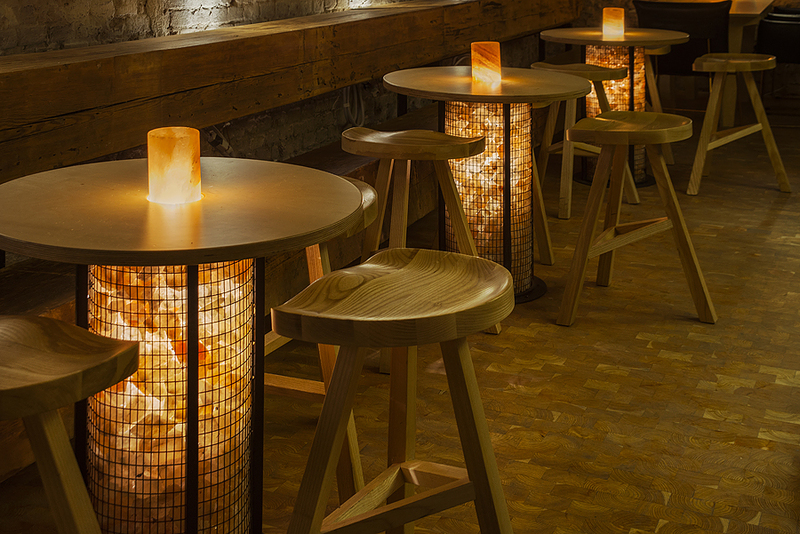 Backlights emphasize its fantastic texture and make it one of the centerpieces of the bar interior. 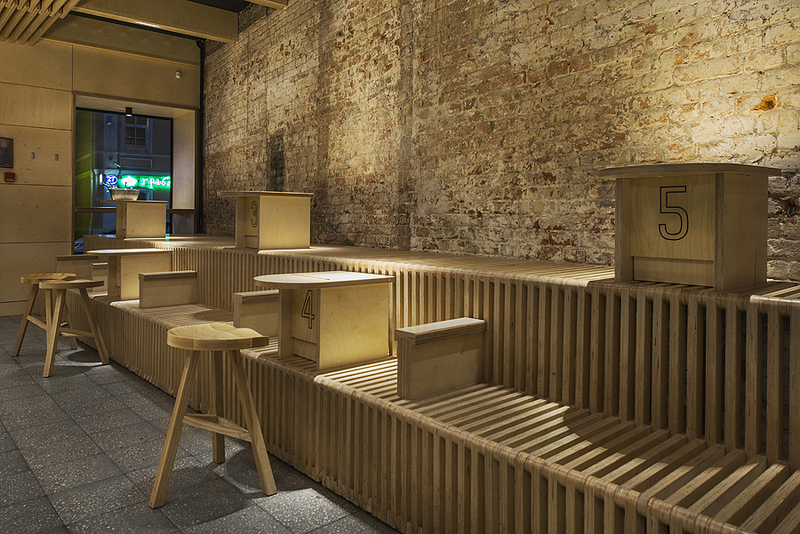 The wooden furniture was custom-made in a carpentry workshop under Archpoint’s sketches. 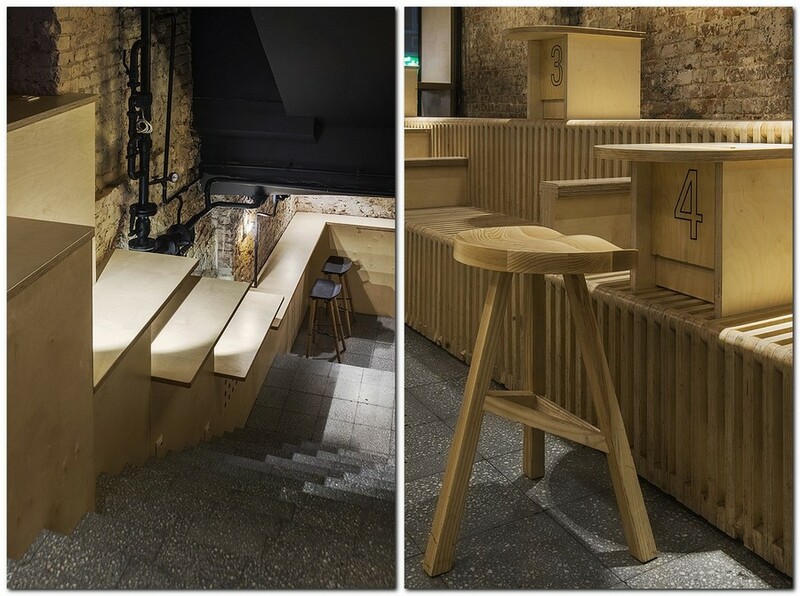 What is interesting about it is that you can either stand or sit on almost any wooden surface here, including the stairs leading to the ground floor – just like in a real sauna. The first-floor part may boast having huge panoramic windows and hence feels like a part of a busy street. 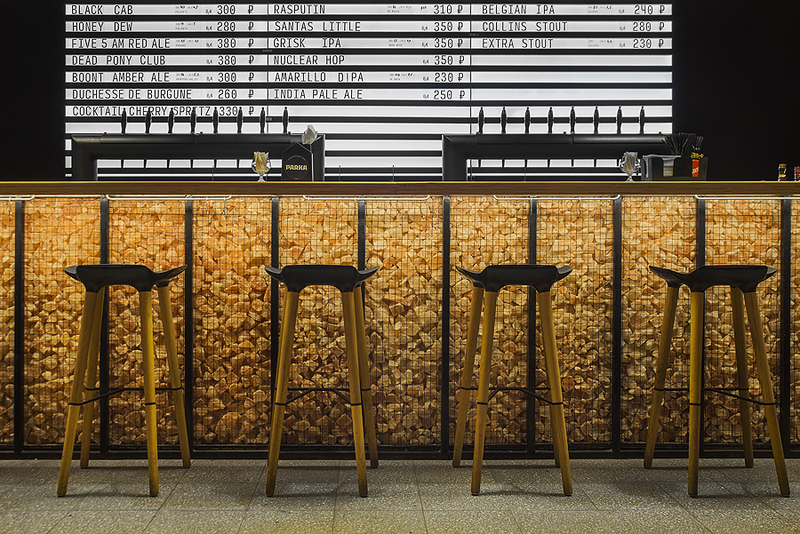 Behind the bar you will find a big display featuring all the prices for a quick and comfortable order-making. Also, each of the three halls is equipped with big TV screens broadcasting sports channels. 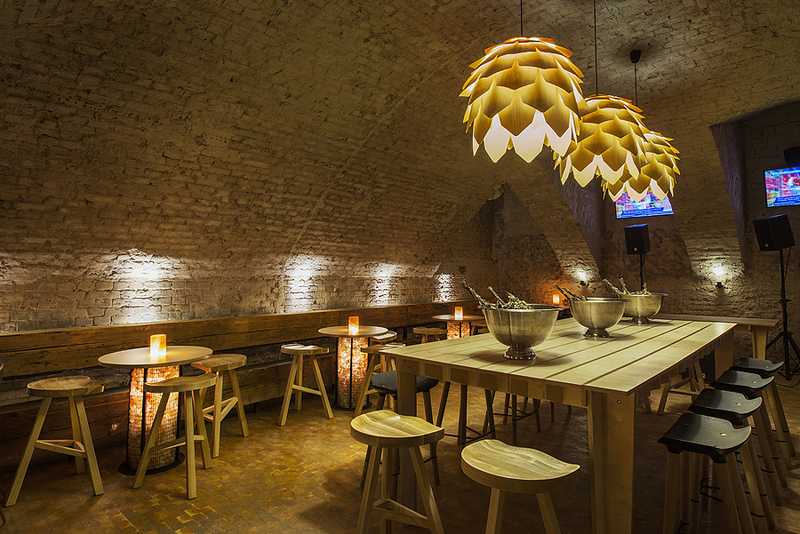 As for the basement floor, it has a little bit different atmosphere – pretty authentic and homey. Here the architects did a great job to preserve the original old masonry on the arched ceiling. 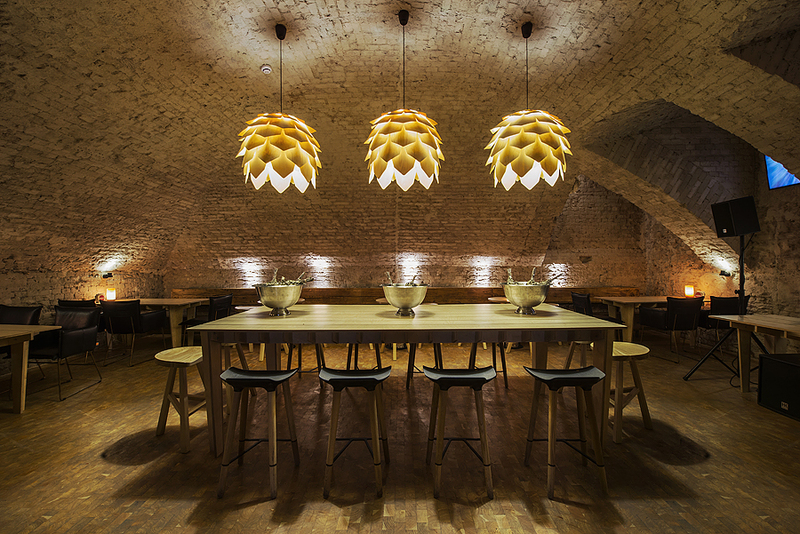 And a touch of coziness is brought by artichoke-shaped lamps by Akteka. 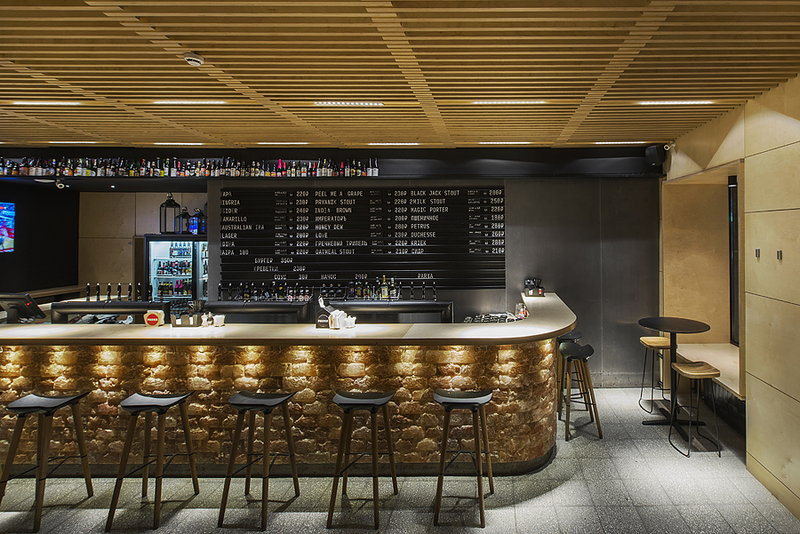 But probably the best thing about this bar is that it creates the atmosphere of a sauna at a kinesthetic level: here you will surely smell the odor of wetted switches of green birch twigs, taste a nice craft beer, and even touch the steam coming from a special steam-generator. So, it’s not in the least surprising that the jury noticed and admired this very project.